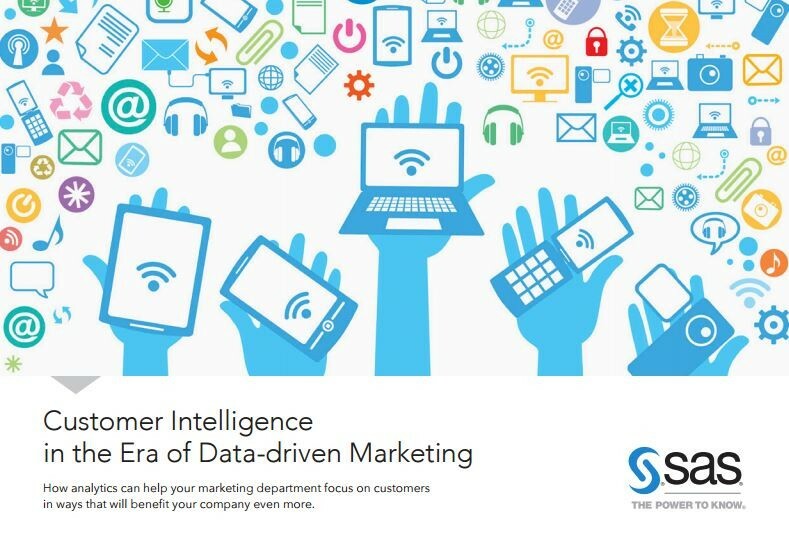 SAS Customer Intelligence 360 is a new digital marketing hub offering that enables users to plan, analyze, manage, and track customer journeys. It includes SAS 360 Discover for digital intelligence and SAS 360 Engage for execution capabilities that enable marketers to dynamically create, manage, and place digital content across a variety of channels. These new enhancements to our customer decision hub extends the capabilities of an organization to orchestrate omnichannel customer activity. Our intent behind this new offering? To enable our clients to take predictive action through their customer-preferred channels, and deliver a desirable, personalized experience. It's quite possible you heard these words at such a high frequency, you could have made a drinking game out of it. Do you NEED a data scientist to be successful with data-driven personalization? At first, I attributed this concern to the perceived lack of analytical talent available for hire. However, there are more than 150 universities offering analytic and data science programs, and talent is flooding into industry. So I placed that stereotype aside and began digging deeper, only to observe that numerous marketing cloud brands were positioning their technology to assume data scientists are NOT needed. This supports the trend of vendors highlighting "easy-button" solutions that address every imaginable obstacle related to scalable personalization. I came across lots of cute descriptions like the "just for them" algorithm, or the "magical machine learning" algorithm. Even imagery of hip marketers wearing augmented reality eyewear while deciphering targeting strategies. Are you kidding me? improvements can be achieved in using automated optimization algorithms, they can’t glean the why behind the what. Machine learning doesn't fully replace real learning. Real learning happens when analysts and marketers partner to dig into data, connect the dots and unearth insights that help brands interact with customers. Embedding those insights into hypotheses, then testing and validating completes the process. In some ways, automating personalization ignores issues that statisticians and data scientists traditionally think about: sampling populations, confounders, model stability, bias and overfitting. In the rush to take advantage of the hype around big data, these ideas seem to be ignored or not given sufficient attention. Marketers need to pay careful consideration to the nuances of consumer behavior, brand management, and the impact of the facilitated experiences they are delivering. Remember, SAS has passionately loved everything about analytics for 40 years. 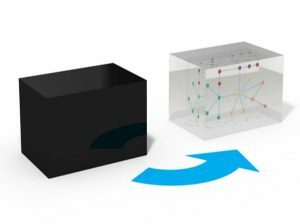 We do not care for black-box solutions, so we embedded transparent analytical features into SAS 360 Engage. It was developed with this in mind. We are the leader in advanced customer analytics, and deployed our prowess in data science for digital personalization through "blue-box" analytical decision helpers. These decision helpers are specifically built to be integrated and easy to turn on for marketers that prefer automation and efficiency. However, supporting analysts will have the option to dig deeper into the why behind the decisions. Analysts can exploit their own targeting model creations in conjunction with SAS 360 Engage's automated helpers by leveraging our deep library of algorithms and approachable tools. SAS will not limit you to a single algorithm to solve for complex consumer behavior. Compare, contrast, and most importantly, truly optimize! This concept of "blue-box" addresses an opportunity for SAS to solve for customer journey challenges, while meeting the needs of your team's preferences. We recognize that some departments don't have data scientists available, and have real needs for automation. SAS 360 Engage offers analytical automation without challenging your team to hire new analytic resources immediately. However, as your organization begins to experience success through data-driven methods, your needs will mature. SAS 360 Engage will support that growth trajectory, and offer attractive features for analysts, statisticians, and data scientists to insert their value-add into your personalization mission. Do I believe a data scientist is a requirement for data-driven personalization? I believe in a future where approachable technology and analytically-curious people come together to deliver intelligent customer interactions. Analytically-curious people can be data scientists, citizen data scientists, statisticians, marketing analysts, digital marketers, creative superforces, and more. Building teams of these individuals will help you differentiate and compete in today's marketing ecosystem, and SAS 360 Engage was built for the data-driven. In the coming weeks, I will be releasing follow-up posts to drill into demonstrations and use cases of SAS 360 Engage. Keep an eye on this space!